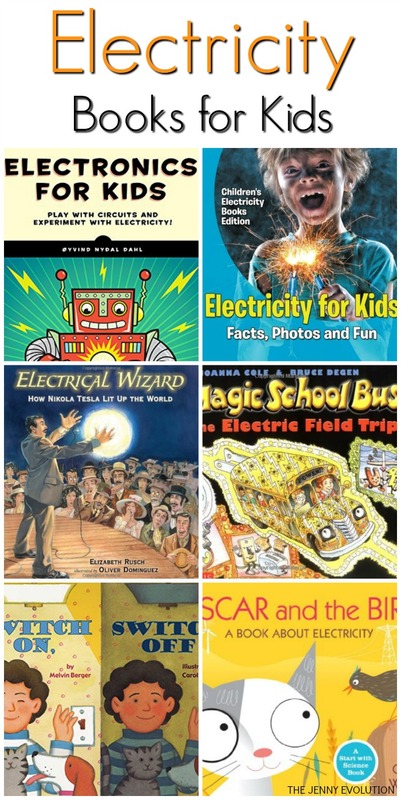 Get your kids thinking about the electricity they use and the power all around them with these fun electricity books for kids. In addition to offering a reading list of alphabet books, I’ve teamed up with some fellow bloggers to offer you homeschool and in-class learning electricty unit study resources. 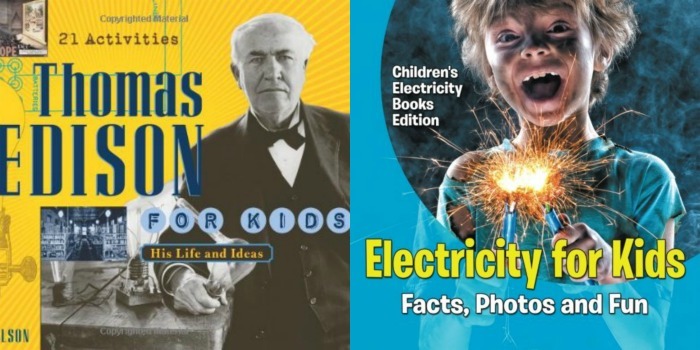 You can find these electricity books for kids at your local library or purchase through the affiliate links provided for your convenience. My boys and I recently attended a fun presentation all about electricity. The presenter had a Van de Graaff generator, which allowed the kids to experience sparks flying from the machine to themselves. It was pretty cool — and for some odd reason, the kids loved getting shocked. Ha! After the presentation, I began to think about how we could continue the fun. And my regular readers know, one of our favorite ways is to keep on reading! DK Eyewitness Books: Electricity: Eyewitness: Electricity presents the story of electricity — from the earliest discoveries to the technologies of today — explaining how our eyes receive light rays and turn them into electrical signals, how the chemicals in batteries work, how the invention of electric motors allowed for the creation of household appliances, what happens when you tune in the radio, and more. 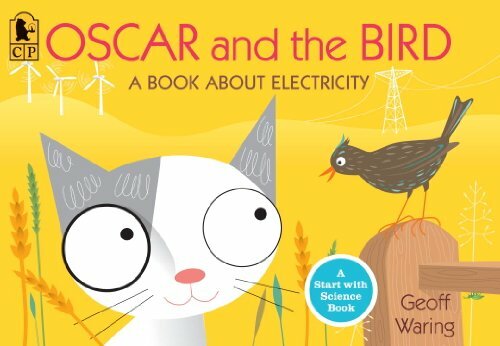 Oscar and the Bird: A Book about Electricity (Start with Science): When Oscar the kitten finds a tractor in a field and accidentally turns on the windshield wipers, he is full of questions about electricity. Luckily, Bird knows the answers! With the help of his friend, Oscar finds out how electricity is made and stored, which machines need electricity to work — and why we always need to be careful around wires, batteries, plugs, and sockets. 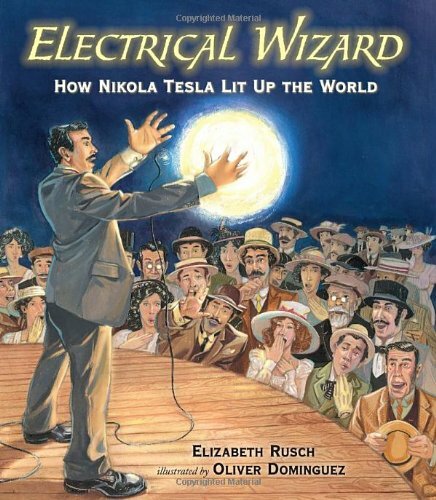 Electrical Wizard: How Nikola Tesla Lit Up the World: When a Serbian boy named Nikola Tesla was three, he stroked his cat and was enchanted by the electrical sparks. By the time he was a teenager, he had made a vow: Someday I will turn the power of Niagara Falls into electricity. Here is the story of the ambitious young man who brought life-changing ideas to America, despite the obstructive efforts of his hero-turned-rival, Thomas Edison. From using alternating current to light up the Chicago World’s Fair to harnessing Niagara to electrify New York City and beyond, Nikola Tesla was a revolutionary ahead of his time. Remote controls, fluorescent lights, X-rays, speedometers, cell phones, even the radio — all resulted from Nikola Tesla’s inventions. 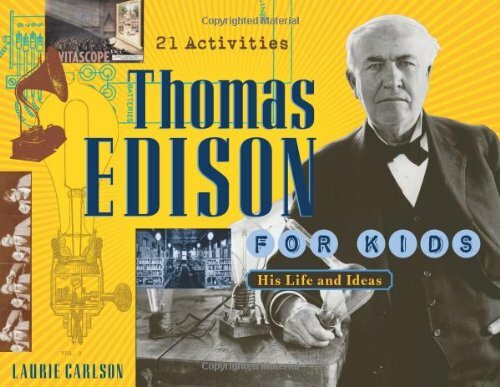 Thomas Edison for Kids: His Life and Ideas, 21 Activities (For Kids series): Thomas Edison, one of the world’s greatest inventors, is introduced in this fascinating activity book. Children will learn how Edison ushered in an astounding age of invention with his unique way of looking at things and refusal to be satisfied with only one solution to a problem. This book helps inspire kids to be inventors and scientists, as well as persevere with their own ideas. Activities allow children to try Edison’s experiments themselves, with activities such as making a puppet dance using static electricity, manufacturing a switch for electric current, constructing a telegraph machine, manipulating sound waves, building an electrical circuit to test for conductors and insulators, making a zoetrope, and testing a dandelion for latex. In addition to his inventions and experiments, the book explores Edison’s life outside of science, including his relationship with inventor Nikola Tesla, his rivalry with George Westinghouse, and his friendship with Henry Ford. Switch On, Switch Off (Let’s-Read-and-Find-Out Science 2): It seems like magic! It’s not — it’s electricity. But how does a light actually work? 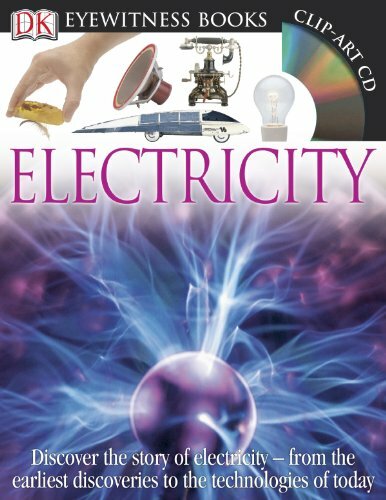 In this clear and simple book learn all about electricity, how it’s produced, and how it can be used. At the end you’ll learn how to conduct fun experiments that will let you generate electricity yourself! 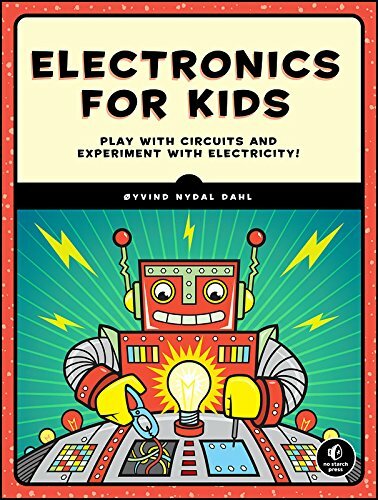 Electronics for Kids: Play with Simple Circuits and Experiment with Electricity! : Why do the lights in a house turn on when you flip a switch? How does a remote-controlled car move? And what makes lights on TVs and microwaves blink? The technology around you may seem like magic, but most of it wouldn’t run without electricity. Electronics for Kids demystifies electricity with a collection of awesome hands-on projects. In Part 1, you’ll learn how current, voltage, and circuits work by making a battery out of a lemon, turning a metal bolt into an electromagnet, and transforming a paper cup and some magnets into a spinning motor. In Part 2, you’ll make even more cool stuff . Then, in Part 3, you’ll learn about digital electronics–things like logic gates and memory circuits–as you make a secret code checker and an electronic coin flipper. Finally, you’ll use everything you’ve learned to make the LED Reaction Game–test your reaction time as you try to catch a blinking light! With its clear explanations and assortment of hands-on projects, Electronics for Kids will have you building your own circuits in no time. 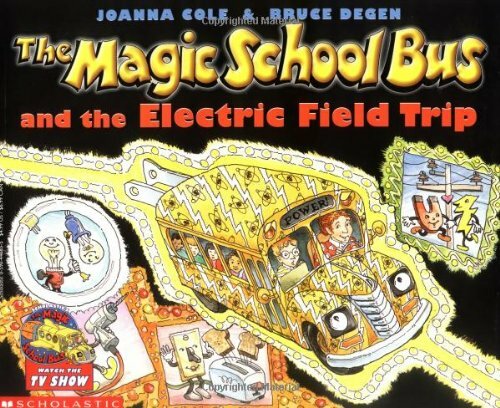 The Magic School Bus And The Electric Field Trip: Small enough to squeeze through power lines, Ms. Frizzle’s class learns how electric current travels through the town, lights up a light bulb, heats up a toaster, and runs an electric motor. Fans of the Magic School Bus won’t be left behind by this simple and informative introduction to the generation and distribution of electricity. 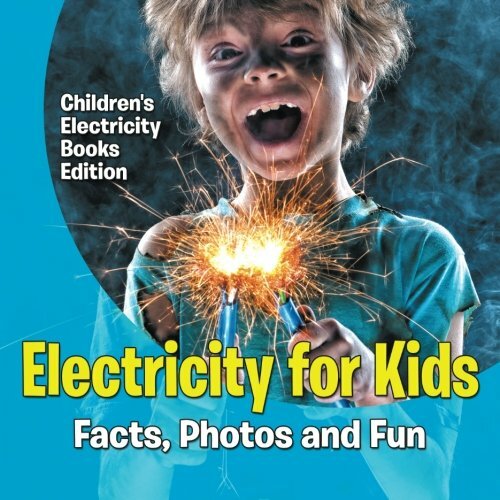 Electricity for Kids: Facts, Photos and Fun | Children’s Electricity Books Edition: Teach your child everything he/she needs to know about electricity in order to develop appreciation for the technology. To explain this concept, pictures are the bomb! They literally tell a thousand words, and that’s why this workbook uses a lot of pictures. There are some select texts, too, to test your child’s reading and comprehension skills. 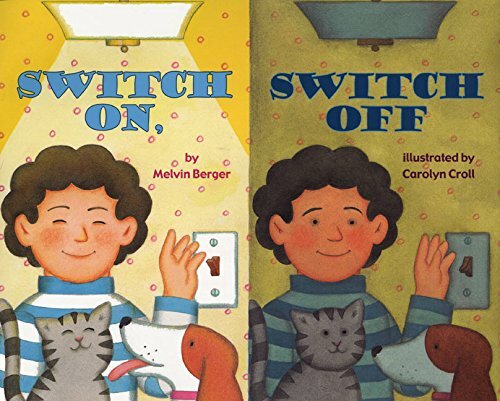 Like these electricity books for kids? Find even more engaging book lists for kids with more than 100 book-themed reading lists! 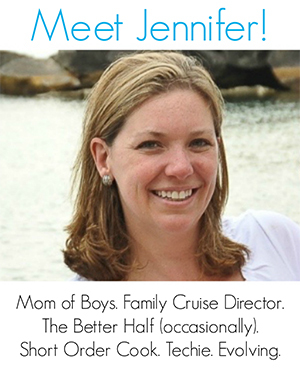 Find more Unit Study Themes and Resources on Mommy Evolution! Awesome book list! A few of these I have not seen before so thanks for the suggestions!